If your company suddenly suffered a major data loss, how long would it take you to recover? Are you confident with your current hard drive file recovery processes? Would an emergency like this blindside you? Statistics show that data loss and the downtime it causes costs businesses over $1.7 trillion per year. Preparing your data recovery plan can mean the difference between a minor inconvenience and an extreme business interruption. Modern data storage is durable and does not suffer from general problems that may render the data useless. However, there are several reasons that can damage the file system of your hard drive and make the data unavailable. Sometimes, your data may even disappear from the drive, although you have not deleted it. Here are our top four tips to help you perform the ideal hard drive file recovery to get your information back. The first tip that we give to all people is to never panic if they have a malfunctioning hard drive. Remember, expert data recovery companies can even help you get data from physically damaged and burned drives, so it is always possible that you can get access to data. However, panicking and using different means to try and run the hard drive can be the real cause of a disaster. This can alter the remaining file system on the drive and seriously impeach your efforts to perform the ideal hard drive file recovery. Start by first ensuring that it is not possible to use the hard drive. You can then assess what may have caused the problem, which will help you choose the ideal method to perform the required recovery. All operating systems come with diagnostic tools to help you recover data from malfunctioning drives. Your hard drive may suffer from common logical errors. These errors can be rectified by simple diagnostic tools. However, you should always avoid storing any data from a failed drive and perform the available diagnostics. In most cases, the file system on the drive is damaged and can be repaired. This will ensure that you perform the required hard drive file recovery by again building the file allocation table of the drive. The use of diagnostic tools leads us to our next tip, which is to identify the cause of the problem. The examples include deleting a file by mistake, damaging a partition, sudden power failure, and a clicking sound from the drive. Identifying the cause will allow you to perform the required task. You can use another computer to download relevant hard drive file recovery tools. These tools can help recover partitions, file allocation tables and even recover deleted information, if the same physical storage has not been used after the data is deleted. Remember, it is important that you use the right tool. Most software tools will help you guide in making the right choice and performing the ideal hard drive file recovery. We believe that the best tip to recover your files is to get professional. Your hard drive may have physical damage, making it impossible to recover files without the use of specific methods and workplaces. A good data recovery company will never charge you more than what is necessary, and ensure that your files are recovered in an ideal manner. Data Recovery Cincinnati is one of the top data recovery service providers. 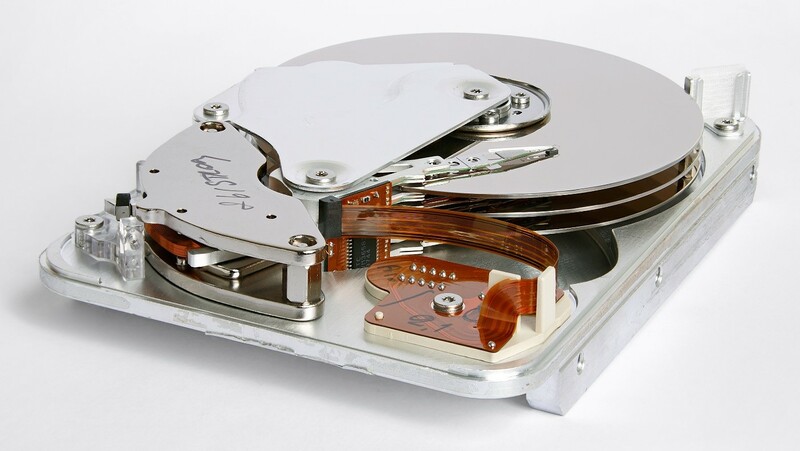 We had you ensure the best hard drive file recovery, regardless of how it may have occurred. This can save you time and money, and ensure that you hold on to important business information. A 2015 Data Breach Report conducted by Verizon estimated that even a small data loss costs an average of $18,000 to $35,00 per incident. In addition to the financial outlay, there are other significant costs that can sink your business. Slow or unresponsive networks may require your employees to work offline. This impedes their ability to efficiently do their jobs. Time lost searching for missing files and dealing with tech support means time away from other important duties. Lost or corrupted files or your data recovery services that aren’t working properly can cause days or even weeks of completed to disappear. This effectively doubles your payroll expenses as employees spend their time recreating what they’ve already done. In many cases, it can take days or even weeks to restore your system. This can effectively grind your business to a halt. Not only are employees unable to do their day-to-day work, IT problems cause distractions that take time away from research, development, and marketing efforts. All of these issues may lead to a significant reduction in revenue. For businesses running on a tight profit margin, the results can be catastrophic. When private client data is compromised, you may find yourself faced with legal troubles. In most cases, there is a requirement to notify the affected individuals. If it’s found that you were negligent with the data or failed to put proper protective procedures in place, you may be liable for the damages. The media now covers even the smallest of breaches, so it’s likely that any incident you have will become public knowledge. If customers don’t feel confident that their personal information will be safe in your hands, they will avoid doing business with you. Keeping your data safe and secure is no simple task. There are many moving parts, and business owners often do not have the time or knowledge to handle this themselves. Outsourcing this critical task to a full-service IT company will help to ensure the job is done right. Your IT professional should take the time to review your specific needs and provide a detailed recommendation. Despite your best efforts to keep data safe, problems sometimes occur. Having a data recovery system in place can help to ensure fast data recovery. Working with a professional data recovery service company also brings several more advantages. During an IT crisis, every minute counts. When you have a standing relationship with an Advanced Data Recovery services provider, you will be at the top of their list when you need them. If your entire area is struck by a disaster, getting your systems back up and running quickly will put you at a competitive advantage. Automating your backup system can help to ensure that your data is available when you need it. However, these systems sometimes fail. Hiring a professional company means that someone is always looking over your shoulder and checking to make sure things are working appropriately. Unfortunately, the chances are very high that your business may eventually need to implement a recovery plan. Having one in place will help to ensure that things go smoothly and you are able to get back to work as fast as possible. Your data recovery services plan should cover your computers, server data, mobile devices, and other electronics. These five steps will help get you started. Contact Data Recovery Cincinnati LLC Today!!! Disasters happen, and smart business owners know the importance of preparation. In emergency situations, you can count on Data Recovery Cincinnati LLC to work around the clock until your restoration is complete. In most cases, you’ll be up and running within 24 to 48 hours. Don’t take chances on losing your critical data. Call us today 513-338-9756 to learn how we can protect your business.